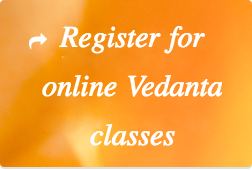 Online classes on Vedanta (Bhagavad Gita, Upanishad and related texts) are held on Saturdays and Sundays. Classes are conducted through Zoom Conference. Bhagavad Gita classes are conducted online (since January 2017) on Saturdays from 7 - 8 AM IST. We are currently in the Chapter 6. Each verse of the Gita is dealt with elaborately. At the rate of 1 class per week, the Gita is expected to go on for another couple of years approximately, as there are 700 verses. Classes on Prashna Upanishad (starting March 2, 2018), on Saturdays from 6:30 - 7:30 PM IST. Classes on Patanjali Yoga Sutra (starting August 26, 2018), on Sundays from 6:30 - 7:30 PM IST. The subject matter of Vedanta (Bhagavad Gita & Upanishad) is such that unfortunately it cannot be studied independently by anyone. If it could be, it would have been possible to gain this knowledge by just "Googling". But that is never the case. Even if one manages to know a little from varied sources, the understanding is inevitably full of gaps that have to be necessarily filled in by a qualified teacher. So, the knowledge has to be unfolded by a competent teacher, who himself has systematically studied from another teacher. Also one has to expose himself/herself to this teaching systematically for a reasonable length of time. This has been the way innumerable generations in the past have gained this knowledge and preserved it to this day. Some frequently asked questions about the study of Vedanta. 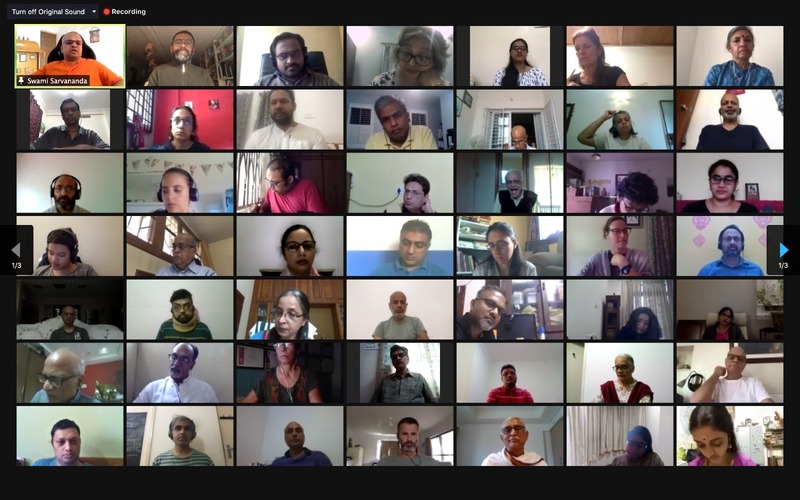 The online classes are traditional, in keeping with the Advaita tradition. And contemporary because by its very nature the knowledge is timeless and eternally valid. Classes are in English and conducted by Swami Sarvananda Saraswati, a disciple of Sri Swami Dayananda Saraswati. Listeners are expected to have a reasonably good Broadband connection and a video camera, so that the teacher can also see the listener. There is an interactive Q & A session at the completion of each class, where the students can get their doubts clarified. You can find audio recordings of a few classes here.